He was thorough and educated. He didn't sugar coat anything and allowed us to make the best decision for our family. I will definitely be using his services again on our next home inspection. 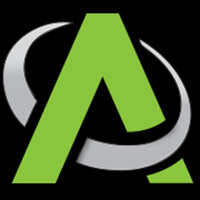 Advanced Pest is affordable and customer service is great! I was in need of a quick inspection and Alex had it completed and back to me late the same day. I was impressed with the turn around time. Diana Mayfield. We've had problems with spiders and mice. Started treatment back in October, and what a difference! Very reasonable price for coverage and all with whom we've had contact are very nice and knowledgeable. Would most definitely recommend. Awesome bunch of guys. They were punctual, and courteous. The gentlemen at Advanced are always very polite and professional. I am never concerned with them around or in my home. I always appreciate how they address my questions proactively. I certainly recommend this company. Advanced Pest Elimination has excellent customer service as well as going to the extra mile to get the job done. I still had a problem with ants after a recent treatment and they came back and treated again for free. Great service!!! And the guys are always nice and professional!!! Great company! Very effective treatment and great price. We had the house sprayed in August and the lady bug looking bugs didn't infiltrate the house this fall as in previous years. It didn't dawn on me till later as to why, I was just happy I didn't have to deal with them. I know it was because the house was treated because when we happened to open the storage room (that wasn't treated) it was covered with thousands of them. Professional workers who no what they are doing. This is a locally owned company with excellent customer service and a great product at a reasonable price. I highly recommend Advanced Pest Elimination. Mr Jones was very professional and did a great job. I would recommend Advance Pest elmanation to anyone. The staff at Advanced Pest is incredibly professional!! They are prompt and courteous. Most importantly, I consider them Trust Worth., I am completely comfortable with them in my home and working around my wife and children. Advanced showed up on time and have done everything they said they were going to do when they were going to do it. They did a great job, they were on time for service and were very professional. Alex and his team ALWAYS do a wonderful job for us! They continue to deliver on timing, professionalism and fabulous customer service. I would recommend them anytime! The guys are great, they get the job done & are always willing to help. Highly recommend! Great price, courteous service, and offered a range of follow-up options! Joey took time to explain the best treatment for our situation. He offered suggestions for us to consider, no other company has ever offered. I am looking forward to being a long lasting customer of Advanced Pest Elimination. You guys were good. Just had to call to make sure you did it today when I had it scheduled for the day before. We've used Advanced Pest for three years now and have always found them to be very professional, reliable, courteous and flexible. I would recommend their services to anyone looking for affordable, hometown care of all your pest challenges. Adrianne Griffin. Just great! The methods and service far surpasses Terminix which I had for years. Will stay with them. Cancelled Terminix today! Very friendly and professional. Was very informed about how to take care of the pest that could be coming in our home and how to prevent them from coming. Thank you. This is a great monthly service. We highly recommend to friends and family! Great service!! Great response time! Great follow up ! Highly recommend . Joey did a great job spraying our house and garage today. He took care of some wasps on our porch as well as all the nasty spider webs. He was courteous and professional. We highly recommend Advanced Pest Elimination. A great company that is dedicated to making their customers happy as well as doing a great job. You will be happy you trusted them. Technician was very professional and friendly. They did a great job. Would definitely recommend them and we will continue to use them in the future. Very good company. Very effective product. We were having trouble with wasps after they had sprayed a couple of months before and they came back, sprayed again with no charge for the service. This is the only time in 2 years we had wasps return after they sprayed. They are very professional and friendly. Another plus is no more cobwebs! Great prices. I always recommend. Service was fast and friendly and very reasonable. I would use them in the future. The technician arrived on time and did a very thorough job. So far, our insect problem seems under control. Thanks! Very friendly complany and takes care of our needs. We had a mouse problem and they completly fixed it by coming over once. We haven't heard a peep out of a mouse sense. We have signed up for preventive care for the bugs and it's been great. My only complaint is that even though I have requested to be notified before they show up they haven't done it. We have a locked gate into our back yard and they guy was lucky we just happened to be home last time. Other than that eveythng is great! Very thorough and professional! Bb. Great service, Alex is thorough and prompt. I will always call Advanced first. I've been using them for 2 months and it has made such a difference! The gentleman that arrived was Very polite and extremely informative. Thank you. After moving into my new home I noticed there was an influx in spiders as it go more and more into spring. I gave the team at Advanced Pest Elimination a call and they were on the problem immediately. Its night and day difference between now and then. The problem has gone away 100%. I highly recommend this company for any pest control you may have. I am very pleased with the service I received from Advanced Pest Elimination. They were thorough and seemed to genuinely care about doing a good job to take care of the problem. They wore booties over their shoes which was important to me since there was mud outside. Yes, I will use them again. Yes, I do recommend them.